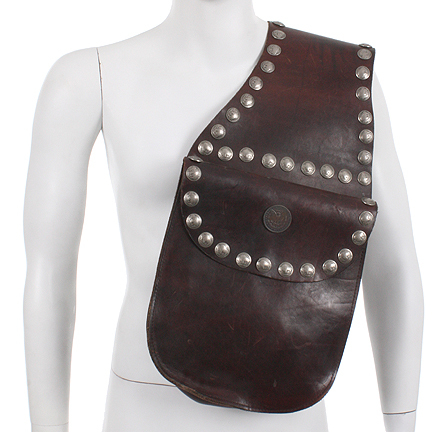 This saddlebag was used by the character “Harley Davidson” portrayed by actor Mickey Rourke in the 1991 motion picture “HARLEY DAVIDSON AND THE MARLBORO MAN”, co-starring Don Johnson. 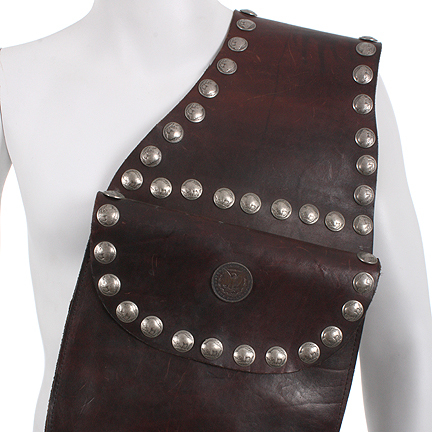 This saddlebag is made of dark hand crafted leather and comes adorned with seventy-three 5-Cent Buffalo coins and two Silver Dollar coins on either topside. 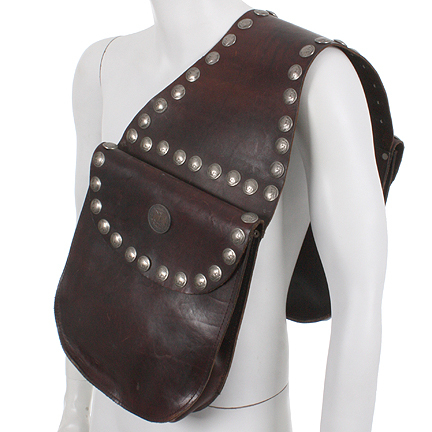 Mr. Rourke can be seen riding his Harley Davidson Motorcycle throughout the film, and the saddlebag is always riding with him. 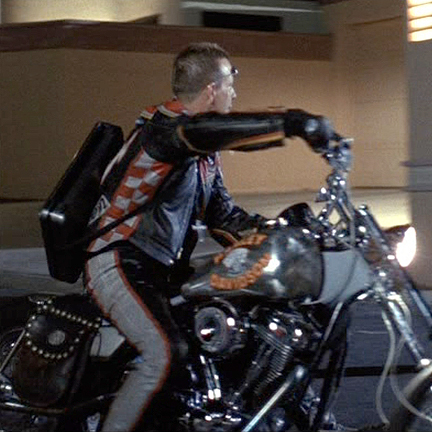 In one scene, he sits atop the ledge of a billboard with “Marlboro” (Don Johnson), and the saddlebag can be seen across his leg. 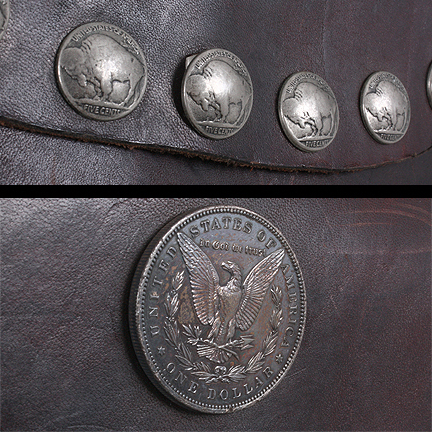 Within the film, the bag included a different metal decoration at the center of each flap on either side; these were later replaced with Silver Dollar coins for a possible later production. 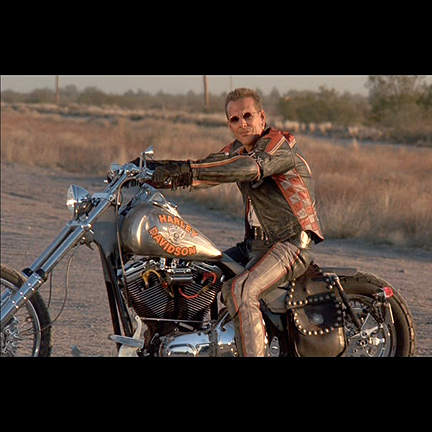 This action film is set in the “then future” of 1996. 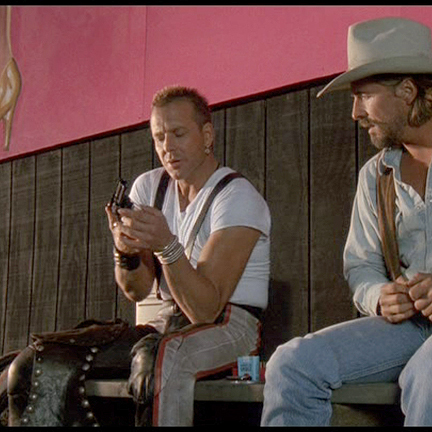 Harley teams up with his old friend the Marlboro Man to rob a bank, hoping to save their friend’s bar from foreclosure. They discover after their robbery that they didn’t steal any money; instead they accidentally stole a dangerous new street drug called “Crystal Dream”. A series of lethal confrontations follow as assassins pursue Harley and Marlboro. 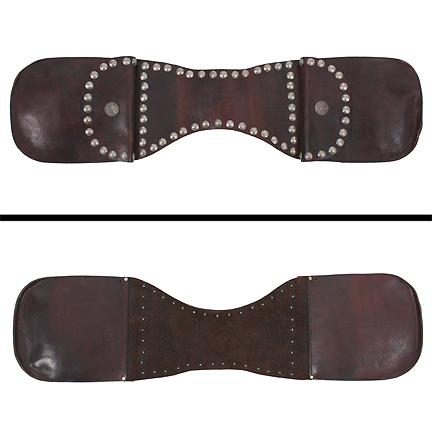 This prop is used throughout the film and is considered to be a key prop. 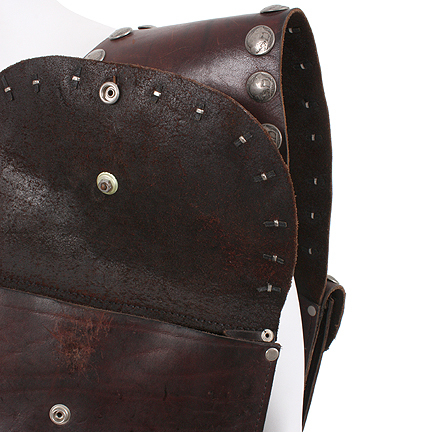 This item comes accompanied by a letter of authenticity.